Hilltop offer colour matched systems for the increasingly popular hybrid vehicles and electric vehicles. Orange is the colour for high voltage wiring and cables and it has been adopted by the major engine manufacturers. 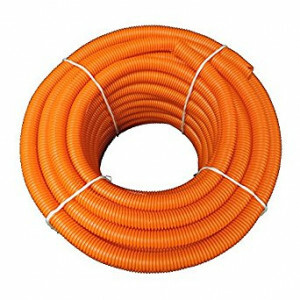 Hilltop offer CTPA lightweight conduit systems in Orange in popular sizes, all of which are compatible with the full range of fittings. Hello, I have just recently purchased one of these items from you the other day & started using it today at my workplace. I just wanted to let you know how impressed I was with the job it has done so far for us and will continue to do. We currently have a big contract at my workplace that requires us to insert conduit onto our wiring looms we are making up so I thought I would give your item a try which was successful!